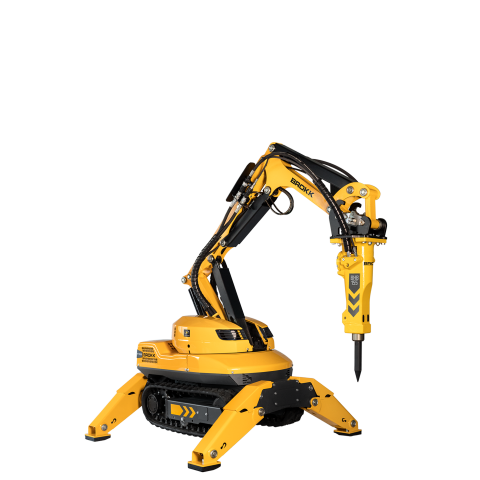 The Brokk 60 mkII is the perfect solution for safe and effective demolition in very confined spaces. 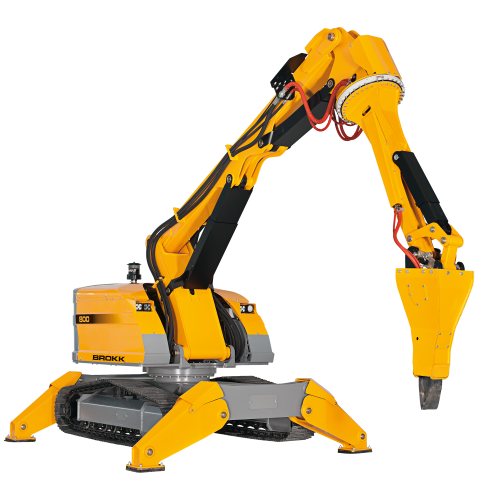 The BROKK 110 is the new generation of demolition robots. With 15% more power than the Brokk 100…. 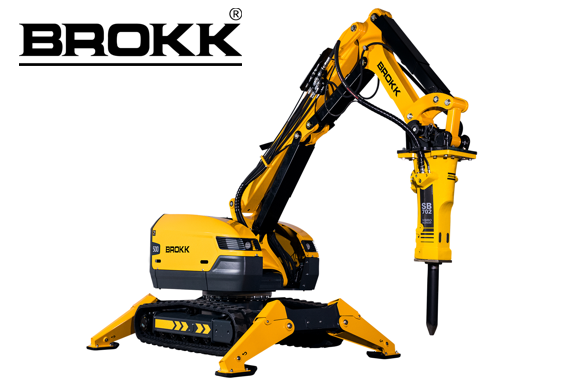 If you liked the Brokk 160, you’ll love the Brokk 170. 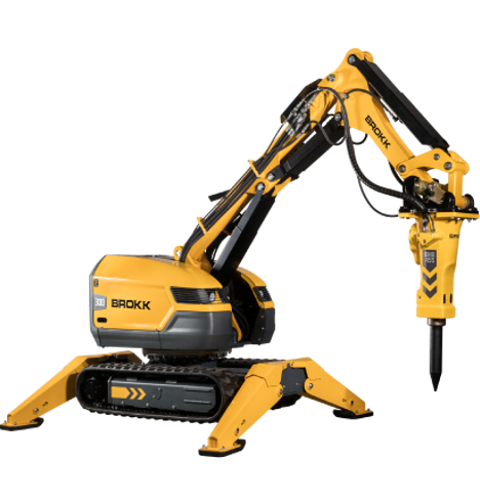 Taking the best from Brokk 160 and adding the full Brokk SmartConcept™. 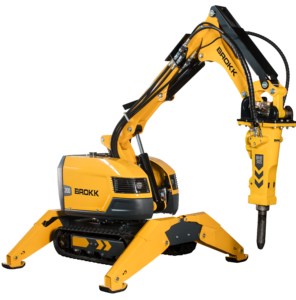 The all new Brokk 200 breaks new ground, packing the power of the Brokk 280 into a 2.1 ton compact package. 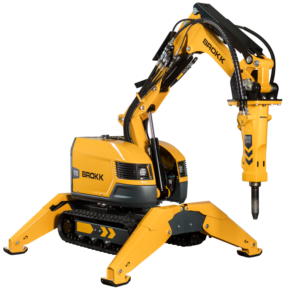 The all new Brokk 300 is an impressive example of how quickly Brokk demolition robots evolve to meet the ever increasing demands of the industry. 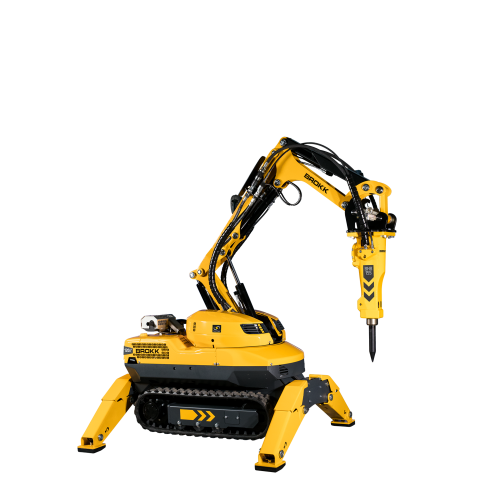 The Brokk 500 brings 40% more demolition power than its predecessor. 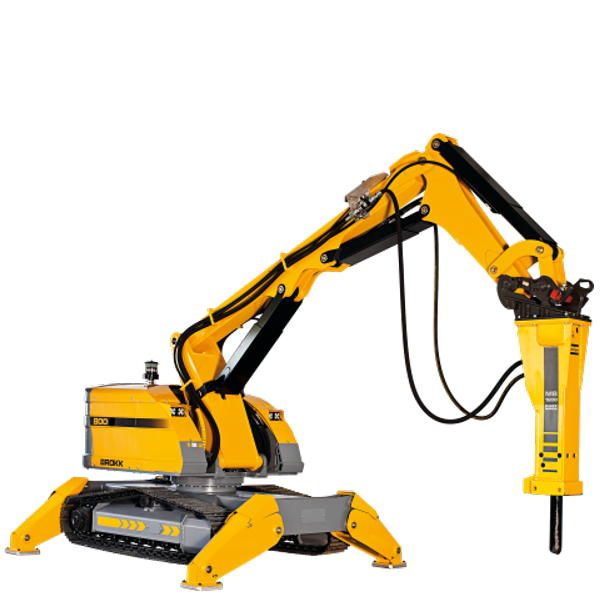 It also provides the ability to upsize its attachments such as the powerful BHB705 breaker. 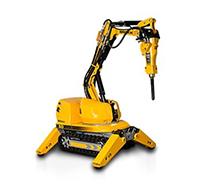 The Brokk 520D is a beast. With 40 percent more hitting power and the ability to size up its attachments, this diesel-powered machine outperforms everything its size. 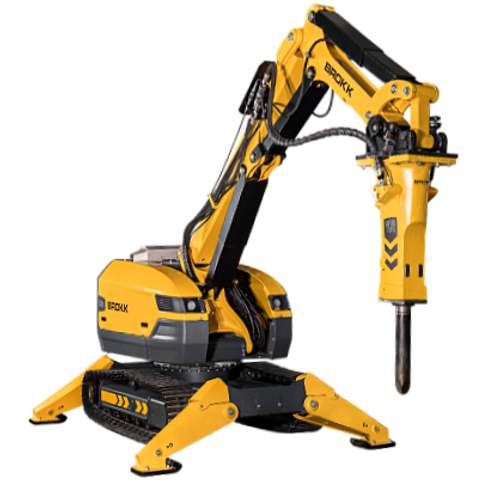 With the Brokk 800S, a whole new realm of application opens up in heavy demolition and underground applications. 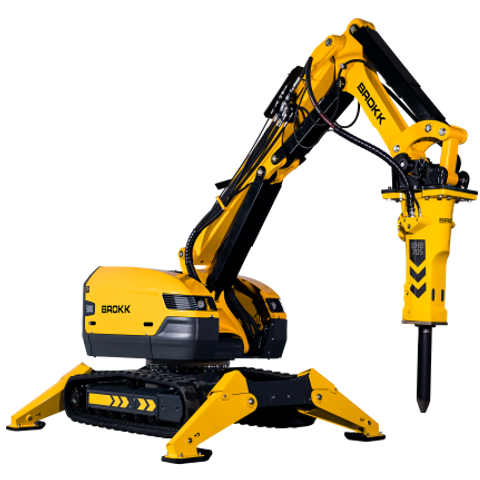 The Brokk 800P is the heavy industry champion of the Brokk family. With a weight of 11 tons, an arm with 360 degrees rotation and a reach of an incredible 10 meters, it’s a game changer.